Rajant Kinetic Mesh radio systems spawned as a result of the aftermath of the September 11th attacks – during the days fo rescue efforts at Ground Zero, there was no internet access due to a complete loss of infrastructure in the area. They decided to make a quickly-deployable self-integrating wireless network system to provide connectivity to remote or emergency areas. While radio mesh systems are nothing new, what differentiates the Rajant network from other products is the WAY they build a network. Most systems consist of a hub-and-spoke configuration, in which a central hub will communicate to the network, and individual devices connect to the single hub. A home wifi network follows this setup, in which all computers, tablets, etc. have to connect to the single wifi router which in turn is connected to the internet service through a modem or other means. The major flaw with this configuration is that there is a single point of failure – if the wifi router hub fails, the entire network goes down. 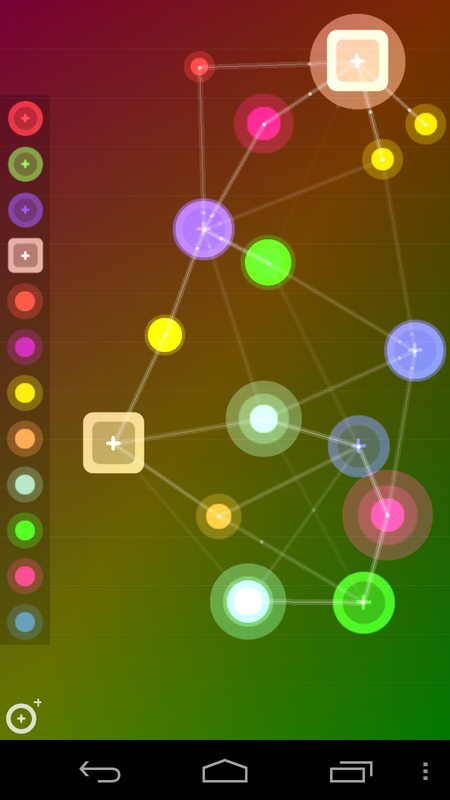 NodeBeat for Android – Music app that uses nodes to generate notes and beats. Completely unrelated to Rajant or mining. They have nodes (or “Breadcrumbs”, as they refer to them) that will work on any vehicle or equipment, as well as more portable options for hand-carry that can be powered by as little as 4 AA batteries. The general range for each node will vary, as different licensed and un-licensed radio configurations are possible from 300mHz to 6gHz frequency. All of the radio enclosures are machined aluminum and are approved for outdoor installations, meaning nodes can be set up on solar-powered remote stations for additional network extensions. Another rather unique feature of the Rajant system is what they refer to as “Tactical Radio over I/P” which means it has voice connection through all of the nodes. However, rather than a push-to-talk configuration like standard hand-held radios, it will run simultaneous voice, so as two people are talking they can hear at the same time they’re speaking – no more over-riding transmissions when someone keys their microphone. Hopefully no one on the network has a propensity for swearing, as it is an open channel for everyone all the time. Clearly one issue the end-user will face will be ensuring up-time for all devices – even though the system will remain live if a node fails, it’s critical to maintain the health of each node for the sake of the entire network. As such, Rajant has developed RRADS – the Rajant Remote Advanced Diagnostic System. This system will monitor the entire network and all “breadcrumbs” involved, and will send diagnostic messages to the network administrator on-site to inform them of problems or failures.